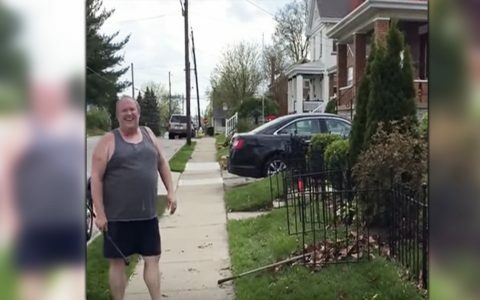 An 82-year-old man was gardening three years ago when he lost his wedding ring. Distraught, the man, whose name was not released, searched for the ring but didn’t find it. 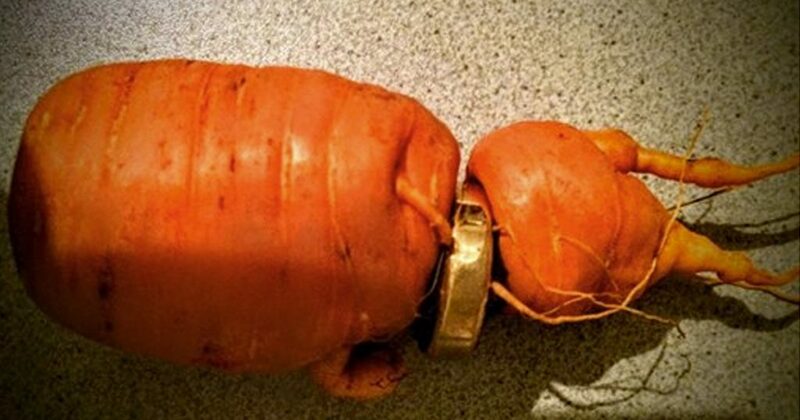 Little did he know, he’d be gardening years later and would find his wedding band in a carrot! The man had just celebrated his golden wedding anniversary three years ago with his wife and was doing a little gardening at their home. Then he noticed the ring was missing. The man’s wife reassured him at the time that she knew the ring would turn up eventually. 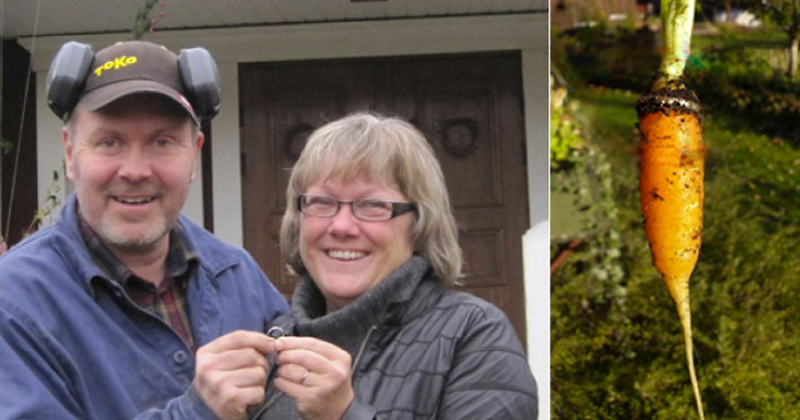 Years later, the man found the ring while gardening in his home in Germany. It didn’t reappear in the dirt though, but amazingly the band was actually embedded in a carrot! Unfortunately, his wife died six months before his discovery would prove her right. 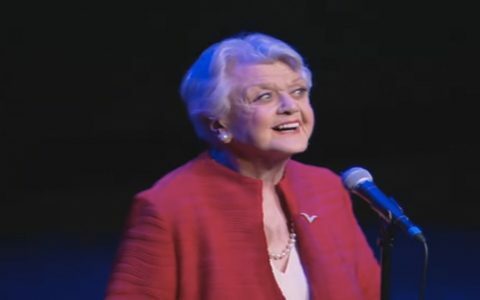 But we know she’s probably smiling down on her husband as he treasures the return of his ring in its most unusual way! As unusual as the man’s find was, it’s not the only instance of this happening. 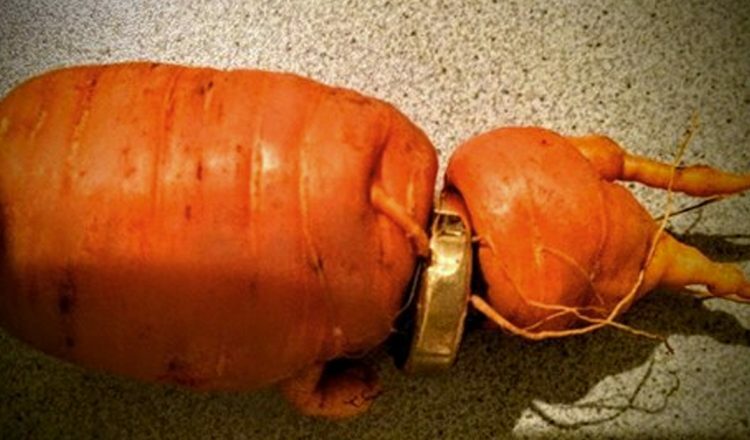 A Swedish woman find her wedding band in a carrot 16 years after she’d lost it! Lena Paahlsson explained that she’d taken her ring off to do some Christmas baking with her daughters when it disappeared from the work surface where she’d left it. Heartbroken, she searched everywhere, even removing the tile floor with hopes of finding her cherished ring. Then 16 years later, she was pulling up carrots when she noticed one was snugly (and smugly!) wearing her ring. “The carrot was sprouting in the middle of the ring. 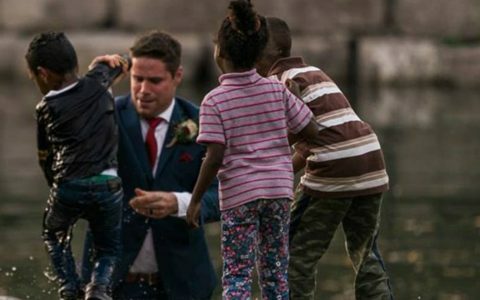 It is quite incredible,” her husband Ola said. 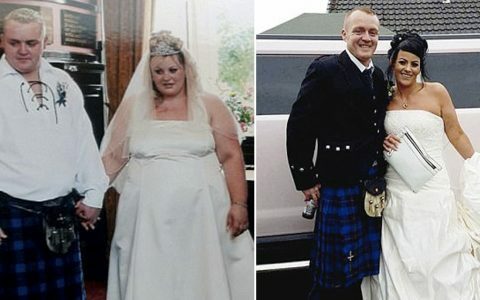 The couple now believe that the ring must have fallen into the sink back in 1995 and was lost in vegetable peelings that were composted. “I had given up hope,” Lena said, adding that she wanted to have the ring, which was now too tight, resized so she could enjoy wearing it again.